One of the German jazz musicians best known internationally is Klaus Doldinger (saxes, flute, keyboards). He was born in Berlin on 12 May 1936. He played in diverse amateur jazz bands from 1952 onwards. In l962 he formed his first Klaus Doldinger Quartet with Ingfried Hoffmalln (piano), Helmut Kalldberger (bass) and Klaus Weiss (drums). Doldinger also made pop, jazz and blues in the sixties under the pseudonym Paul Nero, resulting in several albums: Paul Nero's Blue Sounds had the line-up of Klaus Doldinger (winds), Steffan von Dobrcinsky (winds). Sahib Shilab (bass), Atilla Zoller (guitar), Ingfried Hoilmann (organ), Peter Trunk (bass), Klaus Voorman (bass) and Gibson Kemp (drums). They recorded The Big Beat in 1965. The name was aventually shortened down to Paul Nero Sounds for the subsequent releases Nero's Soul Party (1968) and Nero In South-America (1970). Among the participating musicians were: Siegfried Schwab (pre-Embryo, guitar on both), Lothar Meid (pre-Amon Duul II, bass on both), Olaf Kubler (renowned Amon Duul II producer, sax on both) and Florian Schneider-Esleben (pre-Kraftwerk, flute on the 1970 album). For the first Passport album, Doldinger assembled line-up in the studio to record seven of his compositions. This and the subsequent albums established Klaus Doldinger as one of the leading German performers of conventional jazz rock fusion. 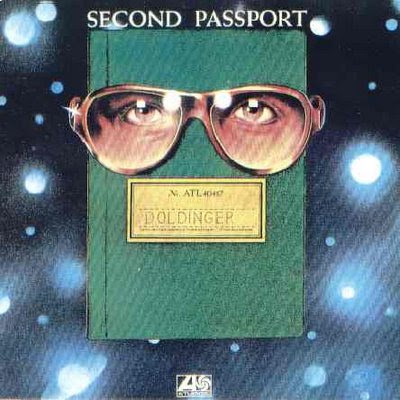 On Second Passport (1972) Doldinger had acquired an entirely new line-up. The third Passport formation was ready for concerts and a new album Hand Made in 1973. When Roberts was replaced with Kristian Schultze in 1974, Passport were at last a stable unit for a couple of years. Doldinger's Jubilee Concert (1974) was performed with famous guests like Brian Auger, Pete York and Alexis Korner.